What Is The Best Treatment For Wrinkles Around The Eyes? We get asked this question all the time and there is no one single answer. One of the follow up questions we ask is “Which wrinkles?” Is it the crow’s feet on the sides of the eyes that wrinkle up during the smile? Is it the frown lines between the eyes that appear when frowning or is it fine lines and/or loose skin below the eyes. We have options for all of these, but they vary depending on the area. Your best bet for frown lines is always going to be Dysport or Botox. Botulinum Toxin Type A relaxes the muscles that cause the frown lines. The area smooths out nicely for 3-4 months after a proper dosage, leaving you looking very relaxed. In rare instances where the frown lines are very deep, we will use a small amount of Hyaluronic acid based filler such as Restylane to improve the area. 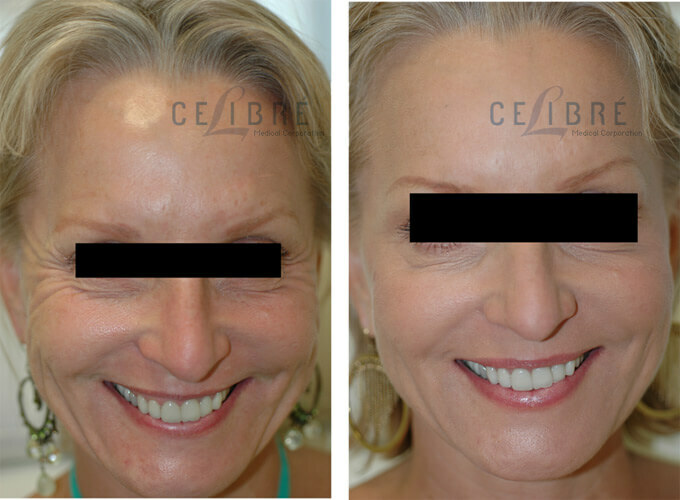 We do not recommend laser resurfacing in this area because it does not generally help. See photos below. For the crow’s feet lines on the sides of the eyes, Dysport or Botox are also our go to treatments. 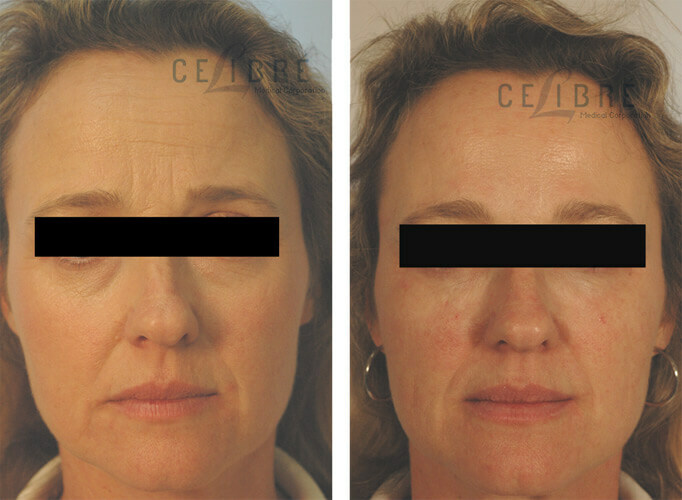 Laser resurfacing has more benefit in this area than between the eyes, but the fundamental cause of the wrinkles, (muscle contraction) is not changed by laser resurfacing so the improvement from resurfacing is usually mild. We love Dysport and the duration would be in the same 3-4 month range. See photos below. Finally, the area under the eyes (the tear trough) represents the most difficult area to treat. In this area, for patients without too much excess skin, we normally opt for a dermal filler such as Restylane. Often the issue in this area is hollow eyes or dark circles in addition to fine lines. Restylane can help with all three. And when the skin is a little loose and the texture needs improvement, we reach for the Sciton Profractional for fractional laser resurfacing. See photos below.